results using the latest tools and tactics. 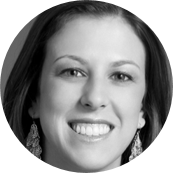 Nicole Grady is a senior account supervisor in Edelman Chicago’s Health practice. 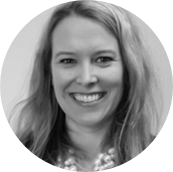 She has more than a decade of experience in healthcare communications, including media relations, content creation and strategic counsel to physicians and health care providers. Her knowledge of the U.S. healthcare field helps her guide client strategy and create strong messaging. She also brings a strong background in associations and government. Angela Salerno-Robin is a Vice President at Edelman, where she is a member of the National Health Media Team and Chicago’s Media Center of Excellence. Angela provides insightful and creative media strategy and focuses on gaining top-tier national media attention through opportunistic pitching and proactive story mining and development for Edelman’s clients including but not limited to CVS Health, Cochlear, Kimberly-Clark, Lurie Children’s Hospital, Orig3n, American Academy of Dermatology, Alzheimer’s Association and American Optometric Association. She has successfully placed stories for these clients with The TODAY Show, Dr. Oz, Doctors, Good Morning America, CNN, FOX News, USA Today, Wall Street Journal, Ladies Home Journal, Essence, Everyday Health, Chicago Sun-Times and Chicago Tribune among many others. We know one is a lonely number. That’s why we invite you to bring a guest to a Shared Interest Group meeting. Not a member? No problem. Non-members can attend one complimentary event before becoming a member of Association Forum. Join others with shared interests and discuss issues, ideas and trends. All guests must be pre-registered!